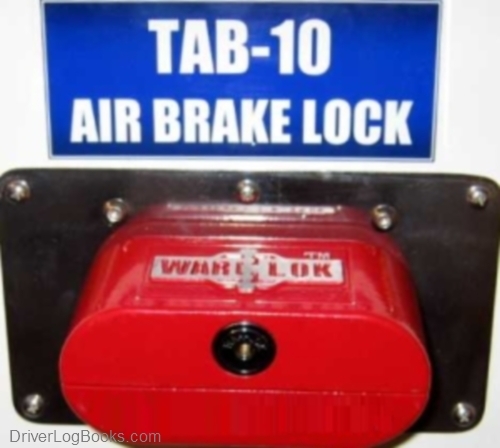 War-Lok Truck Air Brake Lock TAB-10 is constructed of High Impact Aluminum Steel. For Truck Security, the TAB-10 Truck Air Brake Lock Protects Idling Trucks from theft by Completely Encasing the Air Valves. 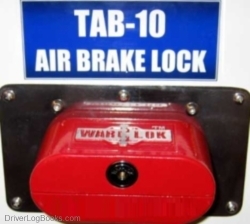 Because the TAB-10 Truck Air Brake Lock is not a permanent attachment, it can be re-used from one cab to another. The TAB-10 has the industry proven War-Lok Internal Locking Core System and comes standard in a powder coated Red color.